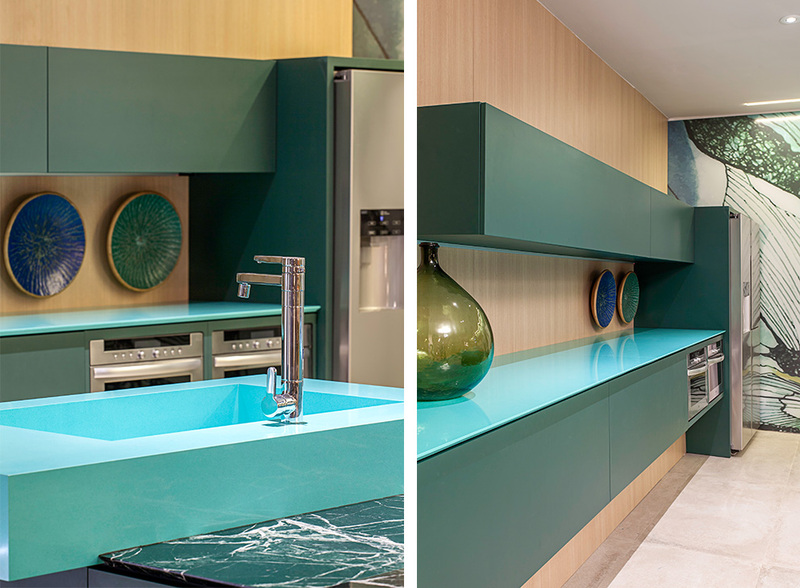 Latin American vibrancy in the kitchen and bathroom: The Cosentino Group is celebrating the 25th anniversary of its leading “Silestone” brand and crowning the success with a limited edition in a new color: “Acqua Fraccaroli” is the name of the powerful and fresh sea-green developed together with interior architect Brunete Fraccaroli. “For me, color symbolizes life, energy and movement,” she explains. 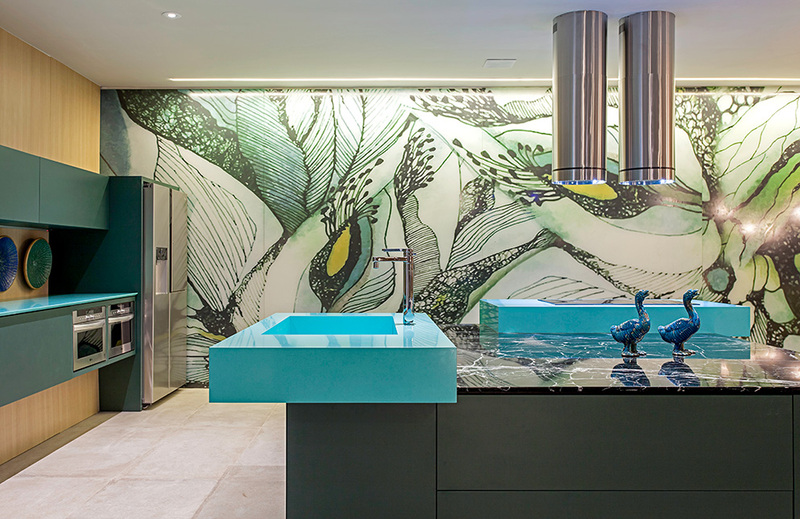 The native of Brazil drew on memories of her childhood in Latin America for inspiration for the project with the Cosentino Group – and did not shy away from giving rooms a highly expressive color. The product launched in September this year, when the manufacturer presented the new product color in its showrooms in London, New York, Vancouver, Sidney, Tel Aviv, Milan, Barcelona and São Paulo. The applications for “Silestone” are as numerous as the properties of the natural mineral: The quartz surfaces are as suitable for washstands and kitchen sinks as they are for stairs, walls and worktops. Especially shock- and scratchproof, liquid-repellent and highly durable, “Silestone” is not only the right choice for private dwellings, but also for contract use – in hotels, restaurants, bars and other commercial properties. 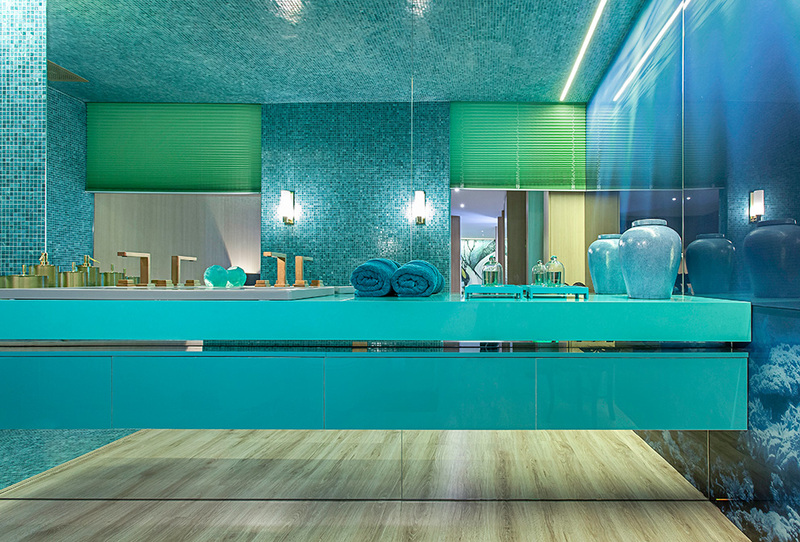 Stand out with color: The new “Acqua Fraccaroli” color for the quartz “Silestone” surfaces by the Cosentino Group brings a sense of vacation to the bathroom. 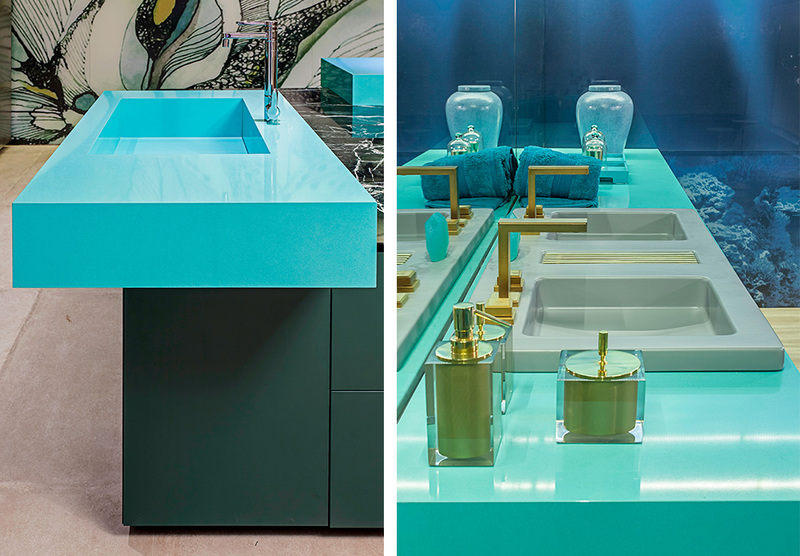 Successful for 25 years: to mark the anniversary of its leading “Silestone” brand, the Cosentino Group is launching a limited edition of this powerful sea-green. Be it in the kitchen or the bathroom: The color, which the manufacturers developed together with architect Brunete Fraccaroli, brings a breath of fresh air to any a room.